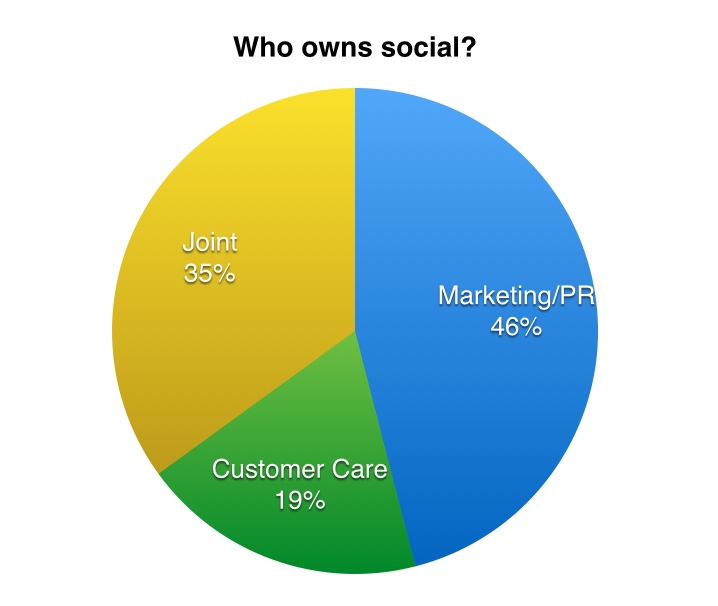 Customer service has sole or joint ownership of social media in 54 percent of companies surveyed. That’s up from 50 percent last year. What the heck are companies doing that aren’t training their employees?! I can just see those managers now. There are other sites like Pintrest, Instagram, and LinkedIn that have millions of users but haven’t really caught on for customer service. 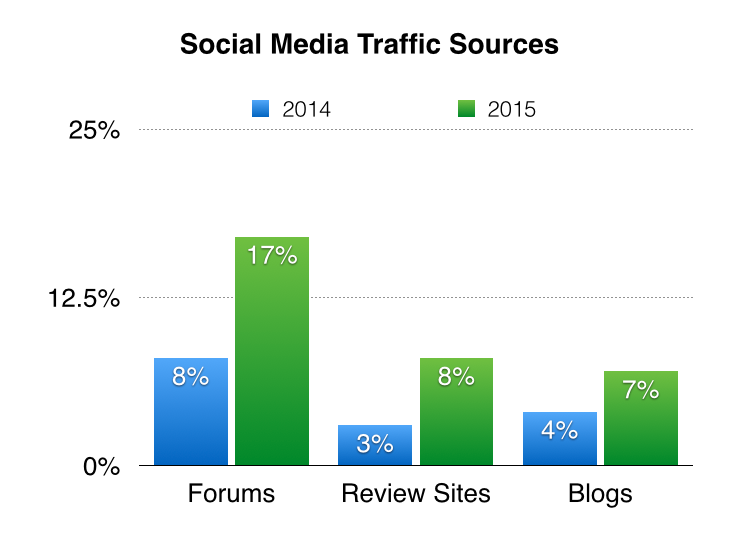 However, there are a few alternative social media channels that are increasing. The chart below compares each channel’s share of social media engagements in 2015 vs 2014. I’m going to say yes. It’s important to acknowledge that many companies are struggling to serve their customers via social media. Seriously, brands. 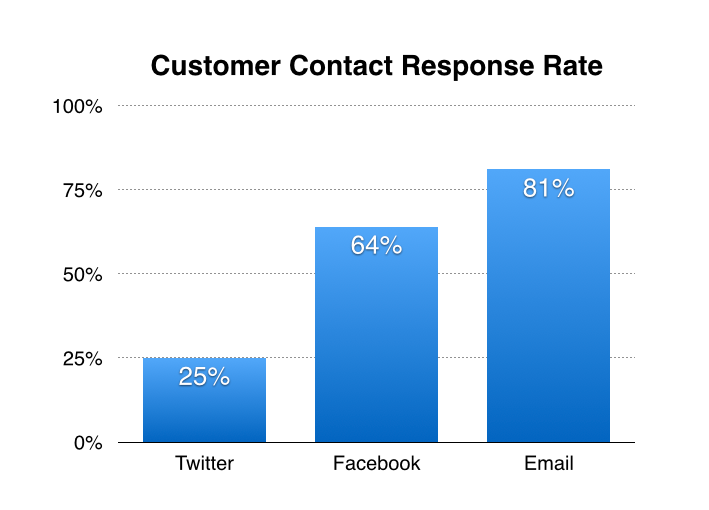 I say this with sincerity and affection: If you aren’t going to respond to your customers on social media (or email?!) then shut down your account. It’s social + media. Not media. Sheesh. Second, the report also found that 79 percent of companies think they’re meeting the needs of their customers, but only 33 percent of customers surveyed agree. Finally, there’s Gartner’s famous stat that 89 percent of companies expect customer experience to be their primary basis for competition in 2016. It’s hard to believe we’re entering a new age of customer service awesome if companies aren’t even responding to basic inquiries. Maybe that’s why retail customer satisfaction continues to drop. There’s one last trend that I think explains a lot. 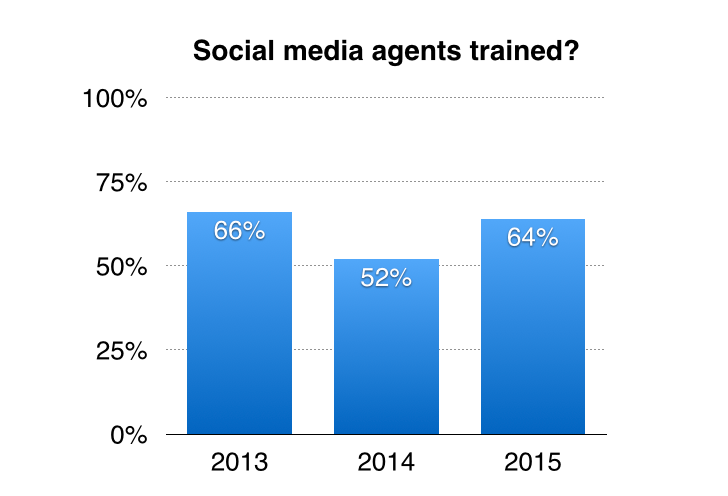 Take a look at Domo’s 2015 Social CEO Report. They looked at Fortune 500 CEOs to see which ones had a presence on social media. 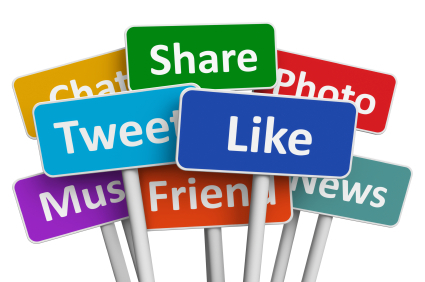 Their sad finding is 61 percent of Fortune 500 CEOs have no presence on social media. It’s hard to believe that social media will get the attention it deserves if CEOs don’t understand it.